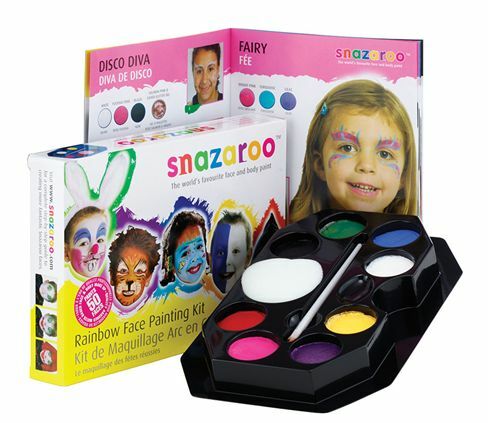 Snazaroo 8x3.5ml waterbased face paint in make-up palette. White, black, red, yellow, green, pink, blue, orange. Starter brush, sponge and face painting guide. Enough to paint 50 faces.